He started in music in the district of Boa Vista, specifically in the spoken solfeggio, through professor Inácio Severino Silvano, in 1987. The base of his musical studies was philanthropic Philharmonic Bom Jesus. It was also in this music band that, in 1988, learned sung solfeggio with José Francisco Mariano, famous band-master of the state of Paraíba. Still in 1988 was part of the musical band Apocalipse, in Boa Vista-PB, as second drummer. In 1989 he learned the clarinet with conductor Francisco Paulo da Silva and began, as a self-taught, to compose his first songs. In 1990 begins to make the first instrumental arrangements for band. In 1991 he learns alto saxophone. It begins to integrate carnival orchestras whose repertoire is formed of marchinhas, marchas-ranchos, sambas-canções and frevos-de-rua. In 1992 he became Conductor of the Bom Jesus Philharmonic and experimented with the "escaleto" (or soprophonic). Between 1992 and 1993 he participated in the Bom Jesus Choir of the Parish of the Patron of Boa Vista, PB. In the Department of Arts of the UFPB (campus I), from 1994, he studied high sax Eb with professor Rivaldo Antônio Santana; Rhythmic Dictation with Professor Joelson Miguel (Pozzoli method); Formation of Composite Compasses with Professor Fernando José Torres Barbosa; and Transverse Flute with Professor Luciênio de Macedo Teixeira. Between 1995 and 1998 he became a saxophonist for a band called Remelexo, from the city of Soledade-PB, where he recorded his first Compact Disk in saxophone, as well as songs of his own. In 1996 he experimented with Tenor, Soprano and Baritone Saxophones. Subsequently, in 1998, he experimented with the trombone of pistos and the bombardino C.
In December of 1998 he is invited to direct the Bom Jesus dos Martírios Municipal Philharmonic, of the city of Boa Vista - PB. In 2002 he published two textbooks on Musical Theory: Clave de Sol and Clave de Fá (4th line). The material was used as a pedagogical tool in the teaching of music for young people of the city of Boa Vista-PB. However, this same material was adopted in cities in Paraíba, such as Soledade, São Vicente do Seridó, Alcantil, Barra de Santana, Serra Redonda and Barra de São Miguel. In 2004, 2005 and 2007 held the State Meeting of Civil Philharmonic of Paraíba, nicknamed "Falarmônica". This event was held in the city of Boa Vista, PB. 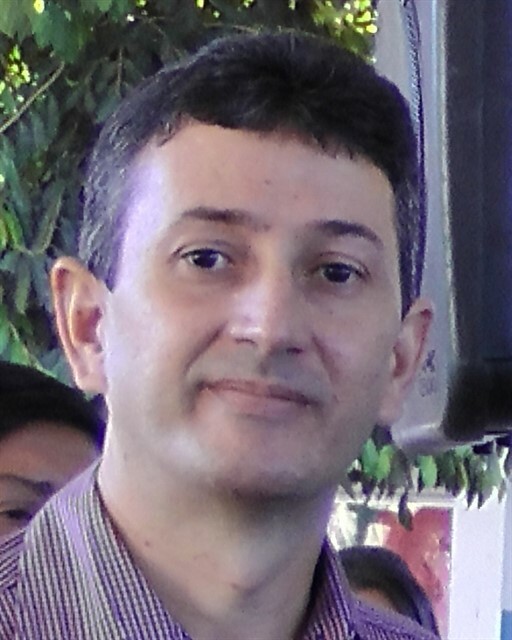 In 2007 he was invited by the conductor Antônio Guimarães Correia to conduct Coral Esperança, a children's group at the municipal school Maria Cândida de Oliveira (Campina Grande - Paraíba). In the same year, he records his first solo CD titled "Soprano Alto", only with unpublished compositions, object of a cultural project approved by the Municipal Fund of Culture of Campina Grande (FUMUC). In 2008, in Recife-PE, he participated in a regency course with the conductor Parcival Módolo (from Universidade Presbiteriana Mackenzie, SP). In 2009 he participated in the Funarte Panel, promoted by the Ministry of Culture through the Bandas Project, in the city of Bananeiras-PB. In this event, he took the regency course with conductor Marcelo Jardim, from UFRJ. In 2010 he ruled the Municipal Philharmonic Epitácio Pessoa on several occasions, replacing the conductor Fernando Araújo. In 2011, in the capital João Pessoa-PB (UFPB), participated in the course of arrangement and instrumentation with the Argentine saxophonist Hector Costita. In July 2011 he became acting conductor of the Epitácio Pessoa Philharmonic, a music band from the municipality of Campina Grande-PB, replacing conductor Fernando Araújo, in musical training in Spain. In 2012 he became a professor at the UFCG. As of this year, he has been autonomously dedicated to the musical creation of instrumental pieces such as anthems, dobrados, frevos, processions marches, boleros, maxixes, choros, other popular genres. In 2014 he produced two incidental songs for soundtrack: 1. Iberian Unconscious and 2. Northeastern Gallop. These two compositions were commissioned for the documentary "When I wore my leather suit", by the filmmakers Flávio Alex Farias & Soahd Rached Farias. This DOC was awarded in 3rd place in the FARCUME - IV Festival of Short Films in Faro, Portugal (August / 2014). He currently has alumni who study music at the Federal University of Campina Grande (UFCG), PB.